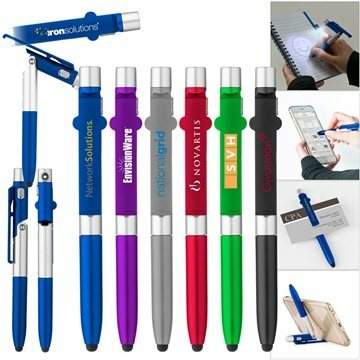 5-in-1 multi function pen with matte metallic finish. 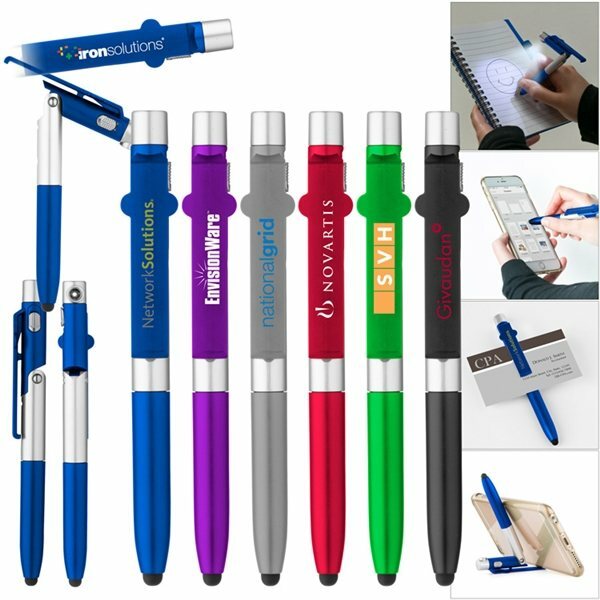 Includes: stylus, twist action ballpoint (black ink), phone stand, business card holder, and "street light" LED flashlight that illuminates the surface as you write. 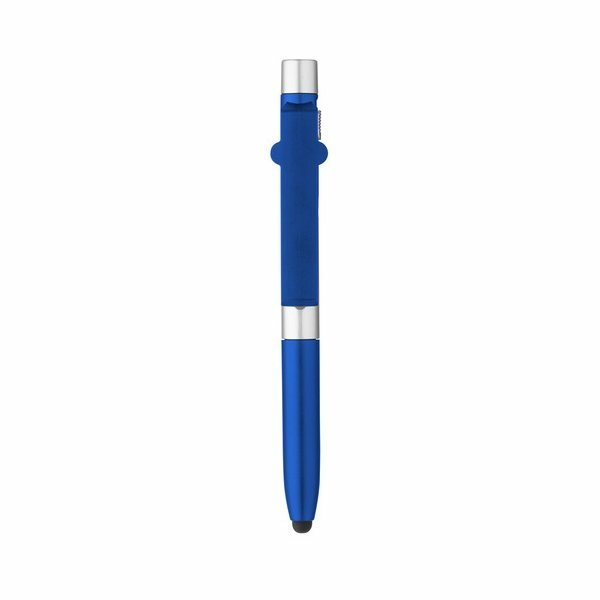 Help with coming up with the design the design came out beautifully. It had been exactly what I was expecting! met our expectations in every respect. Great product, we were very pleased with it and it has been received well by our customers! they are very very good.